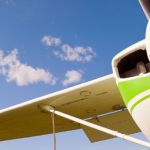 CAA is proposing changes to FISO licensing, which, among other amendments, would include a ‘Surveillance Endorsement’ that would entitle the holder to utilise an ATS surveillance system to supplement the provision of a flight information service. 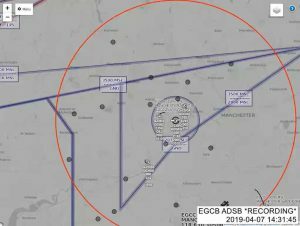 Regarding surveillance, the Airspace4All GA Airfield ATS ADS-B Traffic Display Trial is working towards similar ends and other Airspace4All airspace modernisation objectives will also benefit from the proposed expanded FISO licensing privileges. CAA are consulting on these proposals. The consultation period runs until 7th December 2018. Fundamentally, CAA policy on the training, qualification and licensing of flight information service officers (FISOs) has changed little since around 1979. Yet, by contrast, the arrangements for air traffic controllers (ATCOs) have been subject to continued evolution; seeing them adopt new technologies and ways of working in parallel with advances in the wider aviation industry they serve. This evolution in aviation is particularly evident in General Aviation (GA) – the primary user of air traffic services provided by FISOs – where major advances have been made in aircraft design, systems and products for the use of GA pilots. 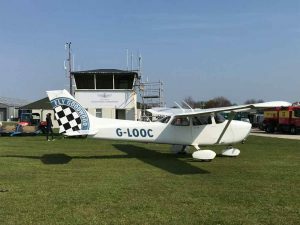 Driven by a number of factors, not least requests from industry for change and the growing demand for widespread airspace modernisation, the CAA has undertaken a review of its FISO licensing arrangements. The primary objective of this ‘FISO Review’ has been to scrutinise CAA policy and, if necessary, to develop concepts for the future which we could consult upon with industry. The purpose of any future change would be to ensure that FISO licensing arrangements can adapt to the future needs of the UK’s ATM system and facilitate UK airspace modernisation. 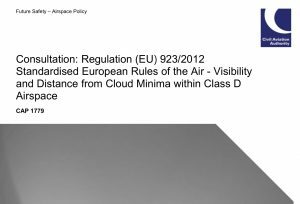 In this document, we make the argument for change and propose concepts that we believe could form the basis of future CAA policy. We believe that the potential benefits which would be afforded by adopting the concepts proposed herein reach far beyond the nature of the operational and administrative changes themselves. These concepts also need to be seen in the wider context of the opportunities and overall system benefits posed by airspace modernisation activity in the UK. It is important to stress that, through this consultation, we are gathering information and opinions from our stakeholders that we will use in the next stage of policy development. These are not yet firm policy proposals and we are not yet committed to the kind of wholesale change that adoption of all the concepts described herein would represent. Nor are these proposals about ‘forcing’ a wholesale change of processes and procedures on industry. The concepts that we propose in this document are there because we believe that they’re appropriate, pragmatic and the right thing to do to achieve our objectives. The most important of these being to ensure that FISO licensing arrangements can adapt to the future needs of the UK’s ATM system and facilitate UK airspace modernisation. As such, we seek the views of our stakeholders in order to shape the future of FISO licensing policy in the UK and to determine our next steps in the development of that policy.